Number76’s a hotspot for ‘Instagram girls’ and their posses, who flock here to maintain their healthy and shiny tresses. 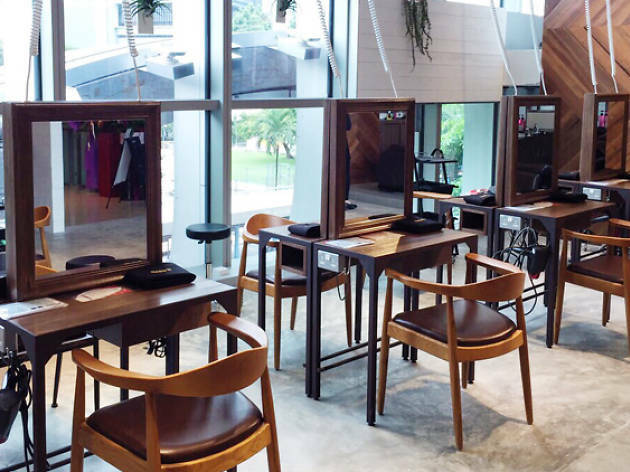 So you can bet this salon’s got all the latest coiffure trends down pat – multi-coloured ombres, balayage highlights, asymmetrical bobs and all that jazz. 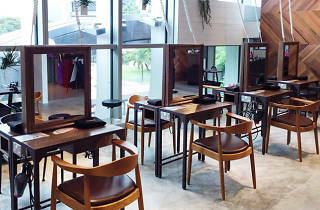 Opened by Tokyoite hairstylist Daisuke Hamaguchi, Number76 exudes Japanese minimalism, from the salon’s airy space with its floor-to-ceiling windows, natural light flooding its interiors, to its oak vanities and furnishings. And for a boutique salon, the prices here are pretty reasonable. Cuts start at $56 while a simple hair colour touch-up begins at $82.